Join the Lloyd Center for an exciting summer outdoors! Coastal Studies Programs for children and teens entering grades 3 through 8, and Young Naturalist Programs for children ages five through seven. 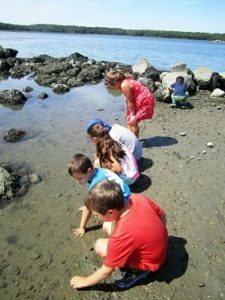 In its 36th season, the Lloyd Center’s Summer Programs are designed to give motivated students an opportunity to explore different aspects of environmental science. We are pleased to introduce our new Lloyd Center Education / Outreach Specialist, Ashley Gesner. Ashley can be reached at Ashley@lloydcenter.org with any questions you may have.